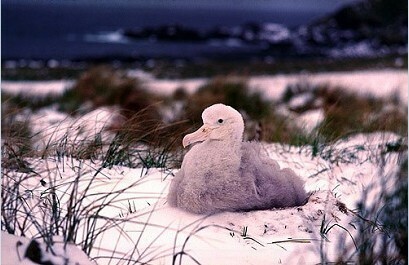 Macquarie Island Albatross Photography. Yorkeys Knob Photographer Matt Brading has just published a new set of Macquarie Island Albatross photos.There are four species of albatross that breed on Macquarie Island in the summer months. Each go through their own unique courtship and breeding rituals. The Wandering Albatross is the largest of the group, with a massive wingspan of up to 4 metres, and is the least common. The Light-Mantled sooty Albatross is the most populous, with over 1000 breeding pairs using the island each year. The Grey Headed Albatross and the Black Browed Albatross are found on the southern end of the island. Matt Brading Wildlife Photography.